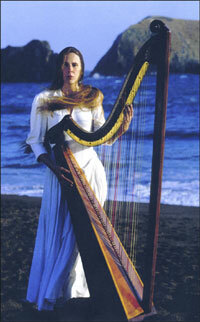 Cheryl Ann Fulton: World-class performer and teacher of medieval, baroque, welsh triple, celtic and concert harps.. 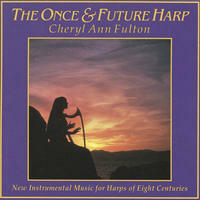 Recognized as a leading pioneer in the field of historical harps and a popular performer and teacher of Celtic lever harps, Dr. Cheryl Ann Fulton has enjoyed a wonderful international performing, recording, teaching and scholarly research career since 1984. One of the world's leading harpists known for her exceptional artistry and expressive style, she performs on triple harp, medieval harp, renaissance bray harp, double action pedal harp and contemporary Celtic lever harps. Her solo recital performed at the John F. Kennedy Center featured five historical harps on one program of which the Washington Post said, "Fulton drew from all of them a serene and delicate sound... remarkable instruments which Fulton played with total skill and reverent affection." 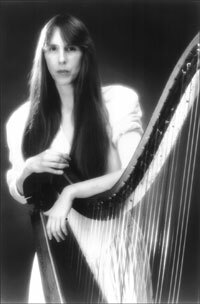 She earned a BS degree in pedal harp, and an MM and DM in early music/historical harp/musicology from the Jacobs School of Music of Indiana University, Bloomington where during her graduate work she was a dedicated student of Thomas Binkley. Dr. Fulton is a contributing scholar for the latest edition of the New Grove Dictionary of Music and Musicians and authored a chapter for A Performers Guide to Medieval Music (IU Press, 2000). She was awarded the Burton E. Adams Prize for Academic Research for her doctoral thesis on the history of the triple harp. In 1987 she received a Fulbright award for research and performance in Lisbon, Portugal and while there served as principal harpist for Portugal's leading orchestra, the Orchestre Gulbenkian. She has performed with many distinguished early music ensembles including Voices of Music, Ensemble Alcatraz, The Galax Quartet, El Mundo, Anonymous 4, Sequentia, American Bach Soloists, American Baroque, The Boston Camerata, Camerata Mediterranea, Chanticleer, etc. She served on the faculty for the Amherst Early Music workshops for over twenty-five years and was the first Director of the San Francisco Early Music Society Medieval Music Workshop. 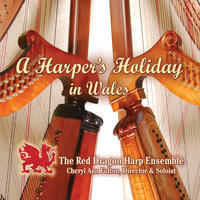 She is the founding President of the Historical Harp Society and is Director for the HHS 2015 Conference. A versatile recording artist, she can be heard on over thirty albums and soundtracks broadly ranging from medieval, baroque, orchestral, and contemporary music to Celtic music and film scores, on major labels including PolyGram, Deutche Harmonia Mundi, Koch International Classics, Nonesuch, Erato, Dorian, Gourd Music, and others. Her first solo album, The Airs of Wales, brought her recognition and acclaim as a "genuine virtuosa of her instrument." She founded and directs the medieval harp choir 크레이지슬롯 사이트Angelorum and they are currently working on a recording of the music of Hildegard von Bingen with Karen Clark and Varja Voices. Dr. Fulton is on the faculty of The Thornton School of Music at USC. She is a highly sought after teacher of her Touch and Tone Technique for Harp and has a private studios in the San Francisco Bay Area in Oakland, El Sobrante and Los Gatos, and also teaches via Skype. When she is not harping she is playing with, training and showing her two Belgian Tervuren dogs or out riding her two Arabian horses on the trails in the East Bay hills. You can find out more about Cheryl on her website. Cheryl Ann Fulton lives in California, USA. 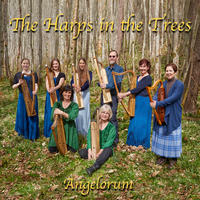 Tagged as: World, Classical, Chamber Music, New Age, Celtic, Harp.